In part two of my discussion with Financial Aid expert Jodi Okun – we're going to focus on scholarships. Jodi explains exactly what scholarships are all about. Scholarships are a form of student financial aid that does not need to be repaid. Foundations, philanthropists, non-profit organizations, businesses and colleges help students pay for college award scholarships. Some scholarships are awarded for academic merit, while others may focus on artistic or athletic talent or other personal characteristics. There are even a variety of unusual scholarships based on more obscure talents. A professional financial aid advisor can help you to determine if any of these are right for you. The National Scholarship Providers Association (NSPA), the national professional organization for scholarship sponsors, supports national Scholarship Month. NSPA promotes student access to higher education through scholarships. From my own personal experience (my son is involved) I know there are almost 200 scholarships which are only available to students who were members of their school's USFirst Robotics team. Look far and wide to find as many financial aid opportunities as you can. But it's not just the money involved which makes the scholarship process important. Jodi explains that there are other benefits as well. Scholarships not only make it possible for students to pursue a college education by improving access to higher education, but they also provide the recipients with greater flexibility. This allows students to choose the college that best meets their needs, without the demand for large student loans. College scholarships also offer other benefits for students beyond the gift aid. The act of applying for a scholarship can help the student clarify his or her goals and decide upon a career path. Winning a scholarship can be a mark of excellence, opening doors for the student to new and exciting educational experiences. Many scholarship sponsors provide their winners with long-term advocacy and support through mentorship and other services. Scholarship recipients often also get to interact with each other, building life-long friendships and creating a synergy that challenges and inspires them to strive for excellence. If you take the time, do your research, and follow the process you never know how much free money you can find in the scholarship world. My thanks to Jodi Okun of College Financial Aid Advisors for helping my readers with the important subject of scholarships and financial aid. If you are having difficulty with the financial aid world, or have any questions, you can contact Jodi through her website which is listed on the right. As students get back into the swing of their studies following the Christmas break - now is also the time for students to get into the swing of things in regards to financial aid for the 2012-13 school year. Whether you are a high school senior getting ready to head off to college, or a college student looking to cut down the cost of your next year, now is the time to be filling out forms - especially one in particular if you live in the United States. I had the opportunity recently to ask Jodi Okun, the founder of College Financial Aid Advisors (see link on the side), some questions about financial aid. For U.S. students. the FAFSA form is a very important document. It sets you up for all kinds of federal, state and private funding. Jodi warns that errors or omissions on FAFSA could be costly. A mistake on your FAFSA can delay processing of your application by up to three weeks. One in seven FAFSA forms are returned due to errors. It could happen to you! To avoid errors, get started early. Use the Pre-Application Worksheet located on the FAFSA home page to insure you've gathered all the necessary information. Be sure to proofread your application before you submit it. Fill it out right the first time and you'll have your financial aid letter in no time. As with all forms and applications, make sure you read the instructions and questions carefully. Besides FAFSA, this is also the time of year when things really gear up in the scholarship world. Jodi gives some tips on how to be on top of your game when it comes to scholarship season. Begin reviewing your finances. Take an hour or two to get a sense of where you are and how your finances will be at the end of this year. Take a look at college costs and try out some of the new cost calculators on each college website. Start writing scholarship essays. Scholarships season really begins in earnest in January of each year, and the sooner you begin to hunt down scholarships and fill out applications the easier it will be to apply for the next one. Research which scholarships are a fit for you, go to the website and download their applications. Set scholarship goals. Try to apply for one scholarship each weekend. Set up a calendar so you don't miss any deadlines. Begin to get familiar with college deadline dates and identify what information colleges request. In part two of my interview with Financial Aid expert Jodi Okun tomorrow – a look at the benefits, besides money, of scholarships and why financial aid is so important. FAFSA - Step by Step Help! 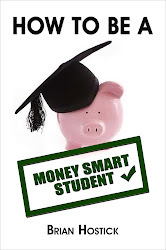 I've mentioned numerous times here, and elsewhere, that there are so many resources available online for students and parents when it comes to finances. One of my online friends - Jodi Okun - the founder of College Financial Aid Advisors, has just created a resource which is a must-see for EVERY student and parent getting ready for college in the United States. Jodi has taken the time to create a video in which she walks you through, step by step, the entire process of filling out your FAFSA (Free Application for Federal Student Aid) forms online. By doing this, Jodi is going to potentially save you hours of trying to figure out exactly what to do, and what information you need to fill out. The link to the video is found on Jodi's latest blog post - but she's sort of hidden it a little. Click here to go to Jodi's blog - after you read it through, look for the blue words 'FAFSA 2012-2013' in the second paragraph. Clicking on the blue words will take you directly to the video. Again - for those of you who have never filled out the FAFSA forms before - watching this video through before attempting the process will be invaluable to you timewise and sanity-wise! To my Canadian readers - thank your lucky stars you don't have to worry about this! Now is the time to get your FAFSA forms filled out and filed. I hope Jodi's video helps you make it through the process a little easier. I'll keep bringing you any other resources I can find. Cheers! Is Grad School Worth The Extra Debt? If you're entering a field of study which will most likely lead to grad school once you've finished your undergraduate degree, there is a new study out of Georgetown University you should read about. The study looked at the additional cost of various majors as compared to what that graduate degree means in terms of extra income in your new field. Some of the results surprised me even. Some grad school graduates made less than 1% more than undergrads starting in the same field. But a few made over 100% more than undergrads in their field just starting out. The details can be found in the following article I found at dailyfinance.com. Grad School Math: Which Degrees Are Worth The Debt? While it's still a smart idea to try and have as little debt as possible once you're finished school - spending that extra money for certain grad programs may actually be worth it in the long run.